Stand out in a crowd and rock this Tie Dye Lanyard. This one is super psychedelic and sure to catch your eye with its unique and detailed tie dye design. Great for holding your keys or work or school ID around your neck. Going to a convention or trade show? 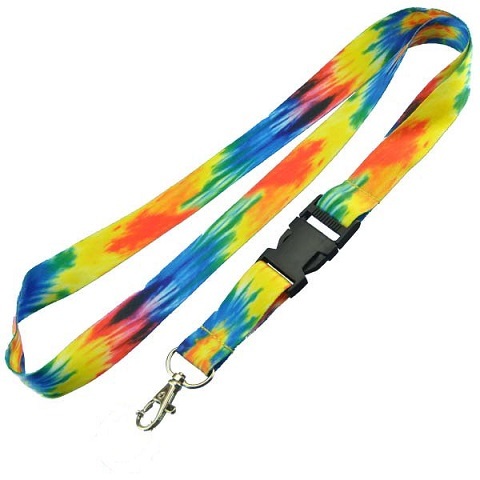 Stand out with this tie dye lanyard.